West Linn entrepreuner Kara Wahlstrom has sold her business, Joe Jacket. She is now offering her expertise to businesses as a consultant. 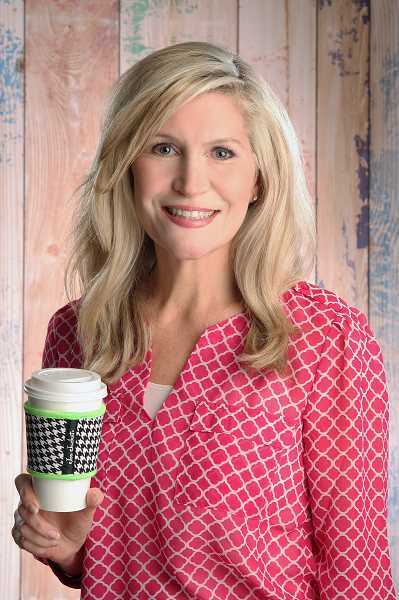 West Linn entrepreneur Kara Wahlstrom has sold her drinkware accessory brand, Joe Jacket, to WineOvation, LLC, headquartered in Austin, Texas. Walhstrom says she is "thrilled" that the brand she created and grew sold to "such a reputable wine accessory brand." She was originally featured in the Lake Oswego Review and West Linn Tidings in Dec. 2010, when she launched her drinkware insulator products. An avid animal lover, she utilized her years of sewing experience to create dog and cat themed fabric coffee cup insulators. After she perfected the product she visited local gift stores and pet boutiques to gauge the interest. "Within two hours I had sold over 200 orders and my company was launched," she said. "The designs expanded and evolved, adding wine glass insulators, a new manufacturing factory was sourced and Joe Jacket went on to become one of the top selling products in the coffee sleeve and wine glass insulator categories on the world's largest online retailer, Amazon.com, additionally receiving the Amazon's Choice badge. Wahlstrom says she is now taking on freelance business and consulting opportunities. "I'm eager and excited to take on new projects where I can apply my skills and knowledge to help with another business' success," she said.